Our images of “home” are usually very strong within us. Sometimes it is as much a heart space as an actual geographical area that we call home. Now we have moved our motherhouse across the hillsides to a beautiful spot which still gives us a bird’s eye view of our beloved “hill.” The stories of the early pioneers who carried stones to build the road, used boxes for furniture, and shared one wash basin are a far cry from the beauty that surrounds us, but the spirit remains the same. All are welcome in this house! Caritas Christi is the motherhouse of the Sisters of Charity of Seton Hill. It is located at 129 DePaul Center Road, Greensburg, PA. 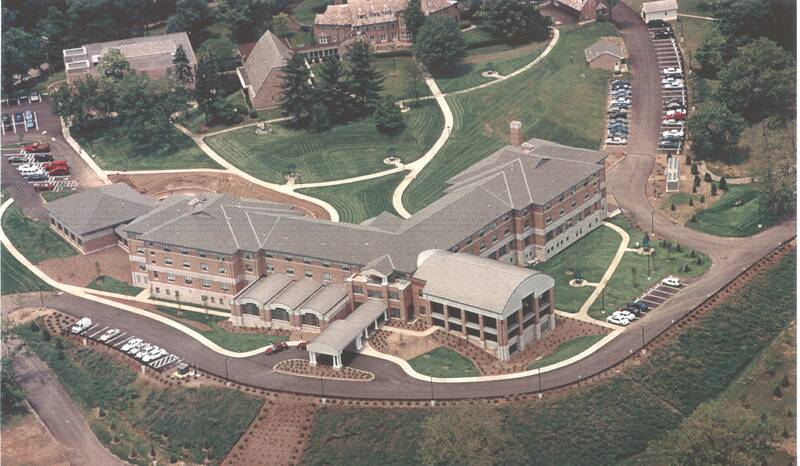 This three-floored, modern facility was dedicated in 1999 and serves a number of purposes for the sisters serving in the U.S. Province. First and foremost, it is the sisters’ home. 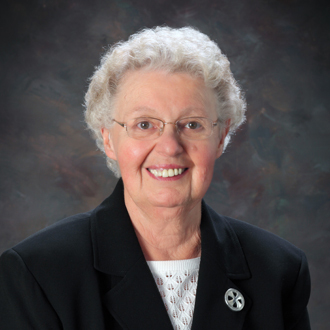 Approximately 100 retired Sisters of Charity reside in the building, while Sisters of Charity in active ministry visit for community gatherings, Provincial meetings, and recreation. Because Caritas Christi is the sisters’ home, it is not available to the public for meetings or other functions. View a diagram of the landscaping at Caritas Christi.